We all have a destiny. We aren't born with our destiny, but it is found when our fate comes knocking on the door. 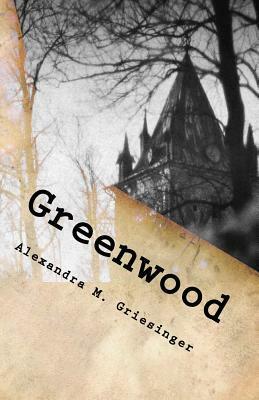 My fate came to me as my curiosity found the darkest and deadliest secret in my town called 'Greenwood'. My discovery thrust me into a world where I immediately became a target to a group of people I knew nothing about nor did I understand why they wanted me dead. I am now faced watching my town slowly tearing itself apart as innocent people are dying all because of me. I also must face the truth that my family and friends are also suffering, because of the secret I found. I know that I must embrace my destiny in order save the town and I must become something that I didn't want to become, but I have to. My name is Lexi Connors and this is how I found my destiny. I really don't know what to think of this book. However, there is certainly plenty of room for improvement. The story is basically about the discovery of an earth-shattering secret and the war between the rebels of Greenwood and the monsters. The main character is called Lexi Connors and she strongly believes that monsters are just fairy tales. I thought that the story idea was alright, not especially detailed but still alright. The world wasn't very developed in my opinion and after reading the entire book, I thought that in the repeated plot twists or villain revelations seemed like an attempt to make the plot more complicated and didn't really make me think: "Wow, that was really cleverly thought out!". As I said, the plot idea itself was a good idea that just needed some more development. Next I'm going to talk about the characters. They all just seemed to be some kind of cardboard cut-out characters which I absolutely couldn't relate to. Lexi seemed very emotionless and at times way too emotional. There didn't seem to be any in-between for her and the others. I was really annoyed every time Lexi would start being emotional and tell everyone about her troubles and how they all immediately burst into tears. Lexi cried every single time she retold her story even though she has said it many times before and the events happened years before. I also just didn't like Lexi's personality by being so brash. Overall, I think that my favourite character was probably Zane because he was so sweet and innocent. The writing style was also annoying at times. The grammar in this book was just so messed up. The verb tenses were being mixed up and so were certain word placements in a sentence. Then there were certain words missing and the spelling was also faulty at times. Another point I have, is that the repetition in the sentences was driving me crazy. Since this story is narrated from Lexi's point of view (first person) the author of course had to write stuff like: "I did ..." The problem was that almost every sentence started with "I". I thought that the a more extended vocabulary could have been used. Several nouns were also repeated in all consecutive sentences, which really annoyed me for some reason. Also, I just have to mention the last chapter of the book. I didn't agree with the plot twist at all at the end, I think that there had to be more hints or at least some kind of evidence to explain the plot twist. Overall, I thought that the idea of the book was alright but the way it was carried out made me read this book at a snail pace. The wording and the grammar annoyed me and I wasn't tempted to continue reading the book. However, once I continued reading there were some action-scenes that flowed nicely. I am reluctant to say this, but I am giving this book 1 out of 5 stars.